The City of Baltimore has always been on the forefront of waste removal industry. The Water Wheel, which harnesses the power of the Baltimore Harbor to keep it clean is a prime example of that. However, area residents must utilize new and time-tested tools, such as commercial dumpsters to remove unwanted materials. Are you ready to get the most effective waste removal solution delivered to your desired location? 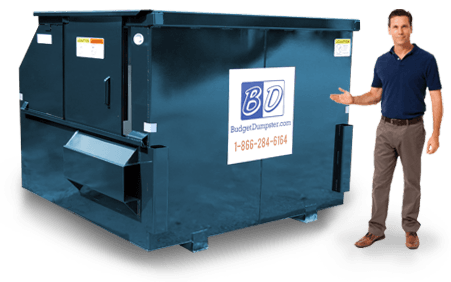 Budget Dumpster offers a full service experience, which begins the moment you contact us. Our incredible customer service representatives will answer any question and then match your waste removal needs with the ideal dumpster. From then on, your only job is taking your trash and putting it in the Budget Dumpster. Do not wait to start effectively removing your waste! How to Rent a Dumpster in Baltimore? 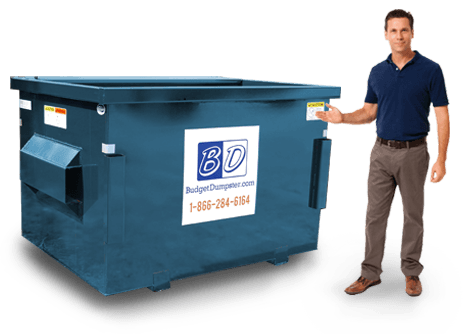 Renting a commercial dumpster in Baltimore is as easy as pie, when you choose to go with Budget Dumpster. When you call into our office, our customer sales representatives can explain the entire process in a way that you understand. We understand that waste removal is probably not your area of expertise and that is why we made it ours. Our operations staff can walk you through the entire ordering process and they will answer all of your questions and concerns. To go about ordering your dumpster, all you have to do is call. In one short phone call, our sales staff can place your order and have your dumpster on schedule for delivery. If you have any questions during the waste removal process, feel free to give us a call. We always do our best to provide the best customer service possible. We are invested in your happiness and we want to make sure our customers are well taken care off. 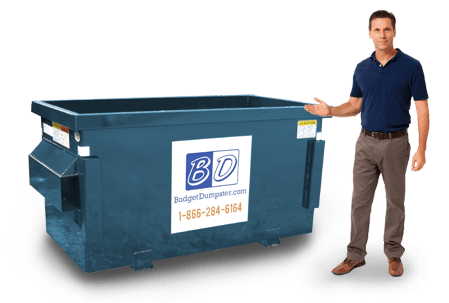 When you're ready to learn about the benefits of hiring Budget Dumpster for your trash needs, give us a call. How Do I Figure Out What Size Dumpster I Need? When it comes to choosing the size of your dumpster, there are a few different factors that you must keep in mind. These are as simple as how much trash you have, how much space you have, and what kind of waste you have. If you have large amounts of debris on a weekly basis, say over 1000 pounds of trash, you will need one of our larger containers. If you only have a small area for placement, that might limit you to one of our smaller 2 or 4 yard bins. If you are constantly tossing out bulky and heavy materials, one of our small dumpsters probably will not do the trick. 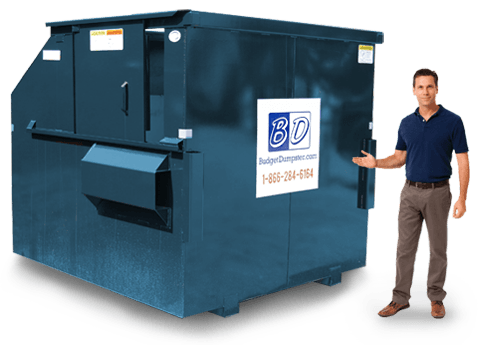 If you need more help determining the best size dumpster for your business, give Budget Dumpster a call.